Site related guest posts are accepted. Everyone is invited to participate. 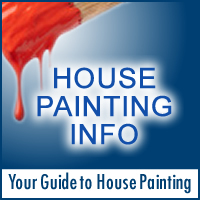 Topics: All submitted articles/posts or ideas must be about furniture refinishing or the other topics covered on Furniture-Refinishing-Guide.com. Just take a quick look at the categories in the right navigation for inspiration. Minimum Length: Although I don’t want to limit anyone’s creativity, I prefer a minimum of 400 words for a post. Formatting: No special formatting is required, all is done through the Submit Article form. Please use the simple formatting tools provided. Images: You can add images to your ideas- I do prefer images if you have any. If the image is borrowed from elsewhere include the necessary proper licensing and attribution. Videos: Videos can be included. Include any necessary proper licensing and attribution if needed. Terms: All submitted content must be original and remains never republished for the lifetime of my site. By-Line/Authors Bio: An author’s bio or bi-line isn’t needed. Your article will link directly to your authors profile, if you choose to join. Please include your name and location with the submitted content.